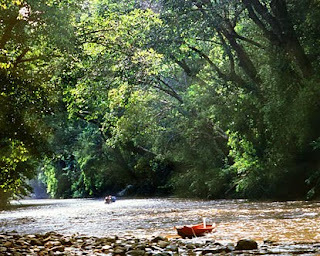 Taman Negara National Park is situated on peninsular Malaysia in Pahang and spans more than 2,500 square miles. Originally established as the King George V National Park the name was changed after Malaysia gained independence. Since first being established circa 1930s Taman Negara Malaysia is believed to be the oldest tropical rainforest in the world, older than both the Congo and the Amazon, spanning some 130 millions years. Flora and fauna abound in staggering numbers in this lush, equatorial paradise. Though the list of species living in Taman Negara Malaysia is endless, some include, Tigers, Malaysian Sun Bears, Sumatran Rhinoceros, Asian Elephants, and much more! This destination is high on the list of many who also want to visit the Borneo Rainforest on the island of Borneo. Many take Malaysia vacations to the area because of their love of nature and the numerous things to do inside Taman Negara Malaysia. If you're not a nature lover, this won't be for you. Canopy walks, Malaysia tours on the Pahang River and jungle treks are just some of the activities offered. 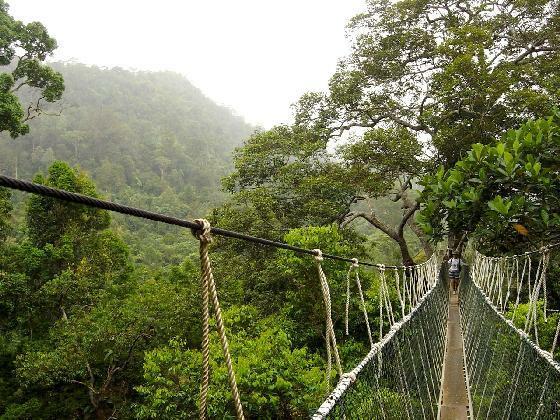 The canopy walk is one of the longest in the world and extends more than 1,500 feet across and 130 feet high. This is a favorite among tourists on Malaysia holidays as the phenomenal bird's eye view is breathtaking. There are also cave systems that beckon to be explored during your Taman Negara holiday. Eco- tourism abounds and a Taman Negara resort is not hard to find. Note that all park visitors have to obtain permits from the Department of Wildlife and National Parks. Kekadang manusia alpa dengan apa yang berlaku disekelilingnya untuk dijadikan ikhtibar ... semoga ' Aura Dya' dapat menyuntik semangat yang lebih bermakna dalam putaran kehidupan. - I love you, Aura Dya!